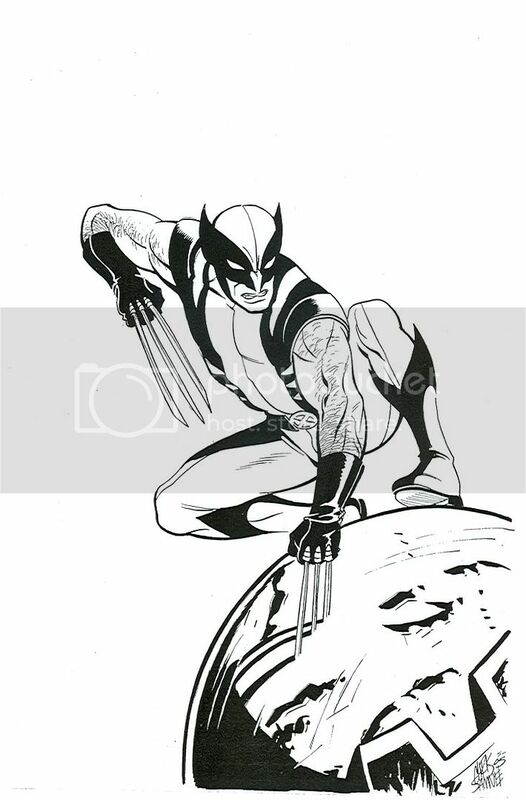 Here's a quick brush pen drawing of Wolvie taking out a Sentinal. It may come as a surprise to a lot of people since I'm known mostly for talking head stuff, but I loves me some superheroes! Expect to see lots more in posts to come since I often warm up in the mornings with doodles of spandex folk. I illustrated a five page story, written by Ande Parks, in the just released Image book Put the Book Back on the Shelf. The book is a collection of stories inspired by the music of Belle & Sebastian and includes stories by many fine indie comic creators. 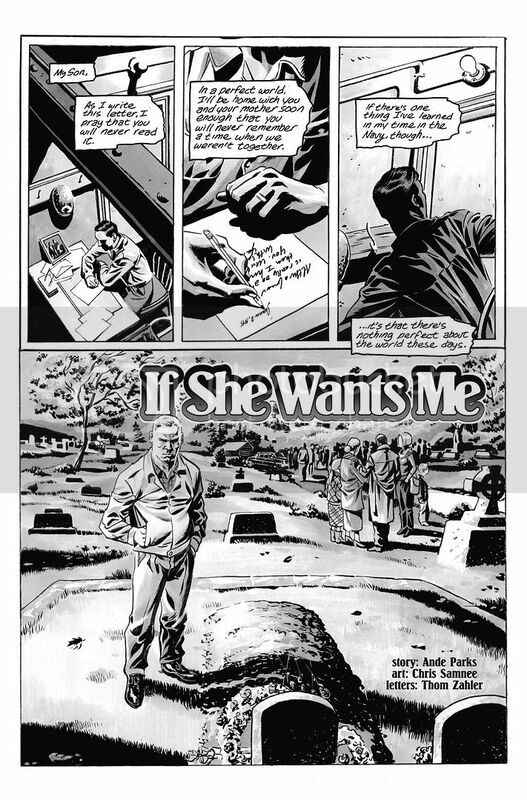 Our story was inspired by "If She Wants Me". Below are a few steps from making the title page. Above is my thumbnail for the page. 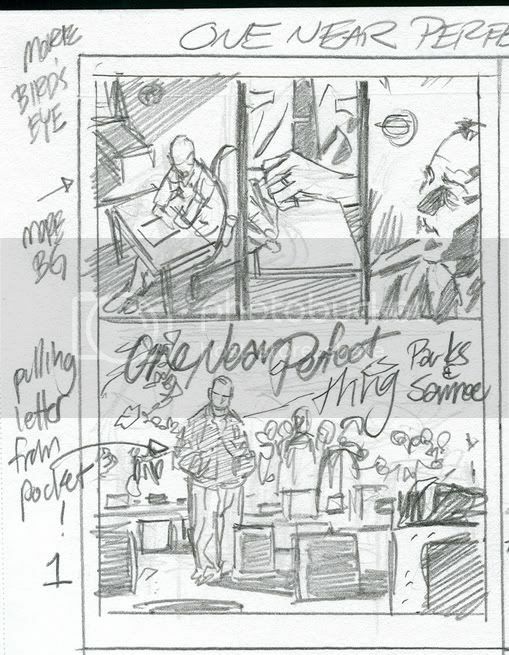 I draw my thumbnails 2 3/4" by 3 3/4" and try to stay super rough with them. 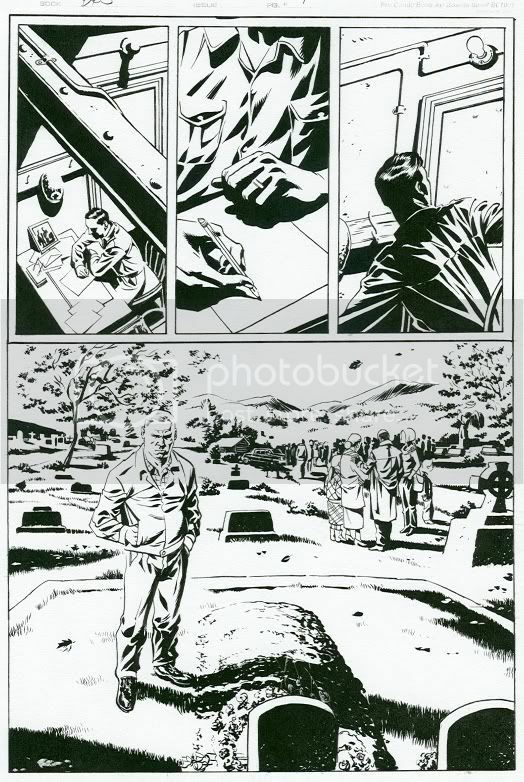 This is the inked page. Here is the final page. I experimented and used prismacolors for the grey tones (cool greys) and was really happy with how it came out. Hopefully the final printing looks as good, but I wouldn't know since I haven't seen a copy of the book yet. Letters are courtesy of Thom Zahler. Capote in Kansas was recently published in France by Akileos. 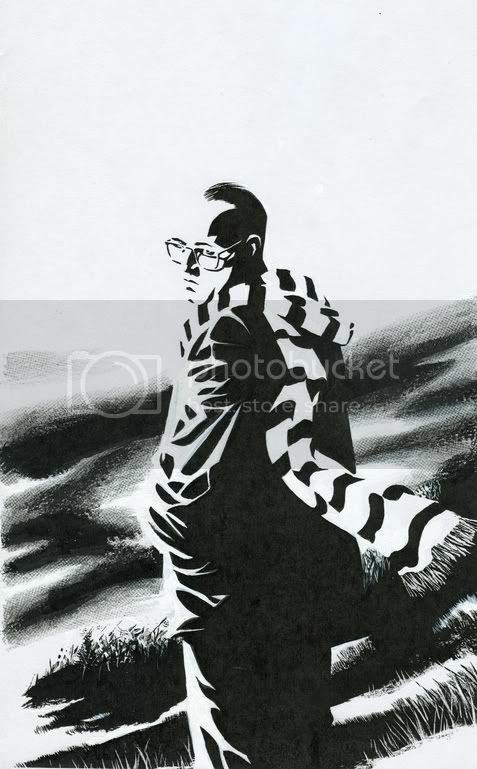 Here is an image used for an ex libris exclusively for the French edition.